Confirmation that the Director of the Houston National Cemetery is censoring freedom of speech and freedom of religion at the funerals of our veterans. As you may remember, my previous article entitled God Bless Our Military … Just Not At The Houston National Cemetery, shared how the Houston National Cemetery Director, Ms. Arlene Ocasio, was requiring grieving families and volunteer groups to not use the words “God” or “Jesus” at any funeral ceremony without her prior approval. This has been a hot topic here in the Houston area, but Ms. Ocasio remains in her position as are her expressed requirements carried out by her employees to ensure prayers are more inclusive of other religions. Earlier this week, the Department of Veterans Affairs defended Ms. Arlene Ocasio stating the accusations in the current lawsuit against the Department of Veterans Affairs and Ms. Arleen Ocasio were categorically false. Congressman John Culberson, U.S. Representative of Texas District 7, took it upon himself to go undercover at a recent military hero’s funeral and found the truth. He personally witnessed censorship of freedom of speech and freedom of religion at the funerals of our veterans. Listen here as KTRH’s Matt Patrick talks to Congressman Culberson on this morning’s radio show. 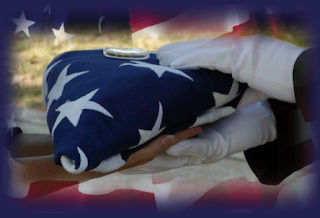 There is purposeful, deliberate and repeated interference occurring against the grieving families, the VFW Honor Guard and other volunteer organizations there in support of our military hero funerals. As also reported by Nik Rajkovic at KTRH, Congressman Culberson is so upset with the Director’s actions that he’s threatening to “zero out” her salary unless she quits or moves elsewhere. Congressman Culberson is Chairman of the Appropriations Subcommittee for the Veterans Administration. Yes, I understand and agree there should be and are SOP’s for funerals at National Cemetery’s as with any governmental entity or even private business; however, in this particular case, the actions of this Director are unacceptable as her requirement has crossed the line on many separate occasions, as now evidenced personally by a United States Congressman. We must remember that the First Amendment to the U.S. Constitution reads: “Congress shall make no law respecting an establishment of religion, or prohibiting the free exercise thereof; or abridging the freedom of speech, or of the press; or the right of the people peaceably to assemble, and to petition the Government for a redress of grievances.” If the Houston National Cemetery and its Director are truly there to help and respect the military families, they will not continue to interfere with the Constitutional and dare I say, God given, rights to grieve and pray. Period. Unfortunately, this freedom is not allowed at the Houston National Cemetery, but I have faith and hope this will soon change. Join me in thanking Congressman John Culberson for going out of his way to find out personally what is happening at the Houston National Cemetery. If only more elected officials were like him. I agree with him that Houston wants a new Director. Immediately. May God continue to bless our military and our great nation. If you choose not to pray, that’s your choice. I respect all faiths and beliefs so I won’t force mine on you and you don’t force yours on me. Grieving families, the VFW Honor Guard and any volunteers there to assist the families with their needs should pray as they wish, when they wish, if they wish, without permission from a government entity. That’s the beauty of America. FREEDOM. Stand with me in support of it.